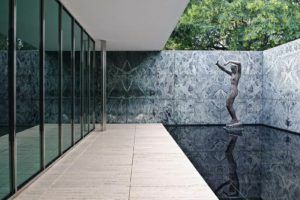 This trip is designed for architects or students of architecture who want to take a study tour of 3 Spanish cities: Madrid, Bilbao and Barcelona. The main idea is to know the cities from the “flâneur” point of view, but based on a rigor that allows to fulfill a busy agenda of activities that will serve as a basis to know not only the architectural and urban characteristics, but also aspects of the everyday life. Museums, monuments, restaurants, urbanism, art, architecture, will be the components to “discover” these cities and thus be able to establish an “architectural map” of contemporary Spain, as well as its most emblematic works, from a historical point of view. The visits accompanied by our guides architects go much more than a simple tourist route. Explanations will be made of each building, there will be talk about urbanism, landscape or works of art. You can pay by credit card, bank transfer or through your Paypal account on our website. Arrival in Madrid from the different destinations in the morning. Meeting of the participants in the hotel of Madrid. In the morning, tour the Old Town of Madrid: Madrid de los Austrias, Puerta del Sol, Arenal Street, San Ginés Chocolateria, Plaza Mayor and the Cuchilleros Arch. In the afternoon, we will see the Reina Sofía Museum enlarged by Jean Nouvel, Caixa Forum by Herzog & De Meuron, Thyssen Bornemisza Museum rehabilitated by Rafael Moneo and BOPBAA and the Prado Museum. We will enter the Prado Museum to enjoy not only the magnificent building but also one of the best art galleries in the world. Dinner and free night in Madrid. The Cajamadrid Tower of Norman Foster and the Sacyr Tower of R & AS. In Plaza Castilla we will see the European gate and the KIO Towers of Phillip Johnson and John Burgee. We will walk in front of the Santiago Bernabeu Stadium and the Torre Picasso. We will also see some of the emblematic buildings in the history of Spanish Architecture such as the BBVA building by Sáenz de Oiza. In the afternoon we will stroll around the River, where the new projects of Madrid of the 21st century are developed. We will see the Caja Mágica of Dominique Perrault, the shell bridge of west8 and the Slaughterhouse, renovated and reconverted in Cultural Center. Dinner and free night in Madrid. After breakfast, we will go by private bus to the outlying districts of Madrid where the most prestigious architects have designed interesting social housing buildings. 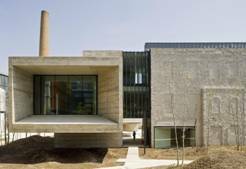 We will approach PAU of Carabanchel to see the works of Dosmasuno architects, ACM, FOA and Thom Mayne. 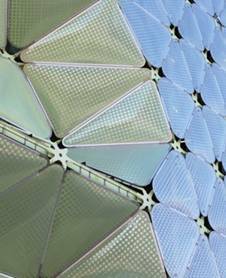 In Villaverde we will see the buildings of Chipperfield and in Vallecas the works of the Study Entresitio and Ecobulevar of Vallecas. We will finish in San Chinarro to see the Mirador, MVRDV and Blanca Lleó and VPO buildings (Carlos Rubio Carvajal, Enrique Álvarez-Sala Walther, Rubio & Álvarez- Sala). Dinner and free night in Madrid. Breakfast and check out and transferred to take the bus to Bilbao. After a short break, I walk on foot to the Old Quarter of the city. 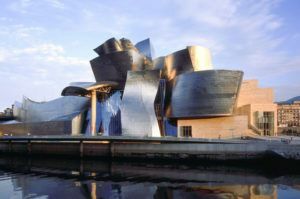 During the tour we will see some of the icons of Bilbao, such as the Arenal Bridge, the Arriaga Theater, Metro Bilbao by Norman Foster, or the “La Alhondiga” Cultural Center by Philippe Starck. We will also see the Health Offices of Coll-Barreu. Dinner and free night in Bilbao. We will visit, after breakfast, the surroundings of the Ría where the most emblematic buildings of the new Bilbao are located: Zubizuri Passarela of Calatrava, Isozaki Towers by Arata Isozaki, Sheraton of Legorreta and Deusto University by Rafael De Moneo. We will continue towards the Euskalduna Congress Palace. We will see the Abandoibarra area and take the Artxanda Funicular to enjoy magnificent views of the city. Evening at Frank Gehry’s Guggenheim Museum, emblem of the city since 1997. Stroll on the outside (facade and sculpture “Mum Spider” by Louise Borgoise and “Puppy” by Jeff Koons) and interior (entrance included). Dinner and free night in Bilbao. Excursion to Donostia (San Sebastián). Regular bus (1 hour). We will walk through the Concha area, the beach and the city front in front of it. We will see the Town Hall, the Plaza de la Constitución, the Victoria Eugenia Theater. And, of course, we will see one of the best buildings of Rafael Moneo, the Kursaal and at the other end of the walk, the Comb of the Wind, by Peña Ganchegui with sculptures by Chillida. After the day in Donostia, we will return to Bilbao. Night Bilbao. Check out Bilbao accommodation. Transfer by private bus to the airport to take flight to Barcelona. In Barcelona, private bus for the transfer to the lodging. In the afternoon, walk through the center of Barcelona, along the famous las Ramblas, Plaza Sant Jaume, Plaza Real, Liceu Theater, Boqueria Market, Cathedral and Gothic Quarter. Night in Barcelona. Visit to the center: Santa Maria del Mar, Palau de la Musica, Picasso Museum, renovated by Jordi Garcés and Born Market. We will end up in the neighborhood of Barceloneta, a typical fishing district. In the afternoon we will visit the Raval district: Rambla del Raval and cultural facilities such as the MACBA by Meier or the Center of Contemporary Culture of Albert Viaplana. Night in Barcelona. Barcelona is famous for its Modernist architecture and especially for Gaudí. We will visit the Eixample projected in the 19th century by Ildefons Cerdà, where most of the most emblematic modernist buildings are located: La Pedrera (Gaudí), Casa Batlló (Gaudí), Casa Ametller (Puig i Cadafalch), Casa Lleó Morera (Domènech i Montaner), Montaner i Simón – Fundació Tapies (Domènech i Montaner), Casa Fuster (Domènech i Montaner) and Casa Vicens (Gaudí). In the afternoon, metro to the Park Güell, one of the most emblematic works of Gaudí. After the visit we will take the Metro again to the Sagrada Familia, which we will visit (entrance included). 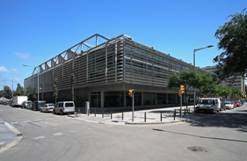 On the way we will also visit the Hospital de Sant Pau de Domènech i Montaner, recently expanded by Esteve Bonell. Night Barcelona. Transfer by private bus to Montjuic. We will go up to the Castle, we will see the Miró Foundation (Josep Lluís Sert), we will walk through the Jardí Botànic (Ferrater) and the area of the Olympic installations, with the Palau Sant Jordi (Arata Isozaki) and the Telecom Tower (Calatrava). Visit to Pavellón Expo 1929 (Mies van der Rohe) and Caixa Forum building (entrance of Arata Isozaki). We will dedicate the afternoon to the front of Sea and the Olympic Village. Following the Olympic Games of 1992, the maritime facade of Barcelona was completely renovated, as well as the Port and the neighborhood nearby. We will see the Tower of the Hotel Arts (SOM), the Fish (Frank Ghery), the Olympic Village (MBM), the Paseo Nova Icaria (Enric Miralles). We will finish at Barceloneta Beach. Night Barcelona. We will dedicate the day to the most recent architecture of the city. Transfer by public transport to the Plaza de les Glòries. Visit to the new technological district 22 @ emerged from the transformation of the industrial district of Poble Nou. MBM’s Disseny Hub, Jean Nouvel’s Agbar Tower, Juli Capella’s Silken Hotel, David Chipperfield’s Diagonal 197 Offices, OAB Audiovisual-Mediapro Campus, Batlle i Roig’s Mercat de les telecomunicacions Commissariat, Seu Indra (b720 Arquitectos + R & AS), the Mediatic of Cloud9 and the Parc Central del Poblenou by Jean Nouvel. We will take the tram to the Forum area where we can see the Herzog & de Meuron building and the new Telefónica Tower by Enric Massip. Night in Barcelona. Check out at the Hotel. Return of participants to their places of origin.